Top 5 Cincinnati neighborhoods for loan application volume in the last 5 months. Source: WFL Lender Pool. Updated: Monthly. Steve believes that bad things come in threes. 1) First his car needed almost $5000 in repairs. 2) Then his roof on his home started to leak and the roofer told him he should really replace the roof instead of fixing it. The total cost of the roof replacement is close to $15,000. 3) Then his AC unit quit and needs to be replaced. He thinks he can get that done for around $8000. In total he really needs more than the $25000 loan he has applied for, but he does have around $3000 in savings. When Steve applied for this loan he found out that his credit rating was really bad due to some old debts he was a little slow in repaying. As a result, he was offered a loan but the interest rate was high at 15% and the payment terms were not great. He is considered a risky client due to his past debt record. Steve did not really pay attention to his credit rating over the years and now he is finding that it can affect his life in a significant way. Steve is definitely going to look for a better interest rate before he agrees to a loan at 15%. If he were able to find a lender willing to loan him this money at 8%, he would save over $5000 in interest costs alone and his monthly payment would be $85 less than the number shown above. He also got another opinion about his roof and this roofer indicated he could provide temporary repairs that should last for at least 2 years. The cost of the repairs would be approximately $500, a substantial difference from the cost of replacing the roof. He is wondering if the first quote was really legit or not. When his second roofer explained the repairs he needed, it all made sense to Steve especially the cost reduction! He knows that he will eventually need to replace the roof but not now when he is cash poor and having trouble getting a loan. Steve eventually settled for a loan of $10,000 at an interest rate of 12% and a 3-year term. The difference in monthly payments and interest charges is substantial. Steve is going to try to save more money towards the roof and at the same time repay the loan on time. If he can repay the loan on time without any missed payments, his credit rating will improve and he will qualify for a more competitive loan when he needs to borrow money to replace his roof. Unfortunately, Steve had to learn a tough lesson. Pay all of your bills one time all of the time to maintain an excellent credit rating. An excellent credit rating makes it easy to obtain loans at competitive interest rate terms. 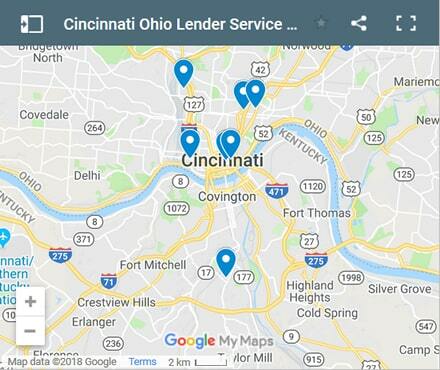 If you live in the Cincinnati OH and you need a loan regardless of a bad credit rating we hope our website helps you in some way. 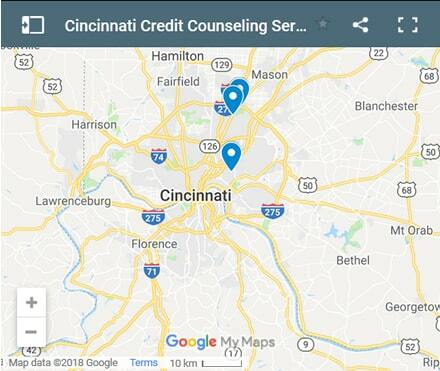 If you live in Cincinnati and you're struggling with making ends meet, you may consider advancing your education and/or finding a higher paying job. We've provided some links here to help with that. Summary of Ohio State Usury Law (that Cincinnati lenders must follow) / Legal: 5% Contract: 8% but rate not limited for business loans / Judgment: 7% / Corporate: No specific rate / to file a complaint go here, and/or learn more about the legal code(s) and statutes and laws applicable to the State of Ohio view our Ohio State page.